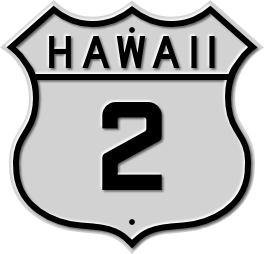 Hawaii shield with MUTCD fonts. Run off on an old press using the original dies. 1926 MUTCD square fonts. As used on the island of Oahu during World War II. Cut out to classic raindrop shape.